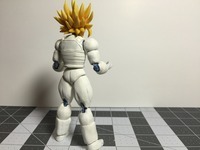 Adrenaline I was thinking about what you said about Vegeta's eyes, and I'm not sure I totally understand what you meant. Are you saying they should be sort of like this? cleve5sp By the way, thanks telling me about the Formula P3 Ryn Flesh. It's pretty close, but I picked up some Tamiya Flat Flesh (XF-15) and added some of that to the Formula P3 and it looks even better! The picture I posted only had the Formula P3 on the chest, but I'll post some better pictures soon of the chest with Tamiya Flat Flesh added to it! No problem Little, and I never thought of trying the Tamiya flesh colors. I'll try the xf-15 on my next one. Thanks! 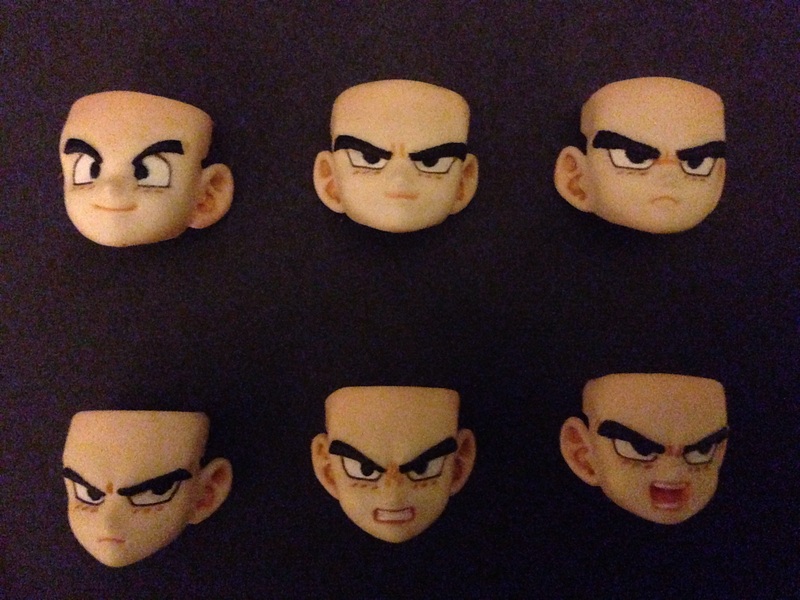 Repainted Gohan's hair and all of the faces. Looks flawless, I like that matt black hair color, like factory made paint job, so so good. 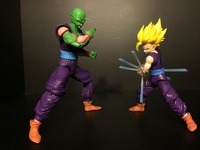 Little Green is no more little with his growing skill levels.... Nananananana nice work Dende. I've been a little busy. And I also did that thing where I started too many different projects at once . I really like how he turned out. 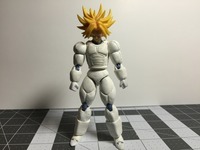 I like him better than the SDCC Gohan I think haha. 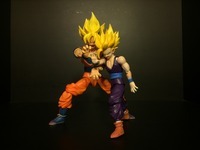 I'm sorry for the small images but I can't make then any bigger no matter what I try . 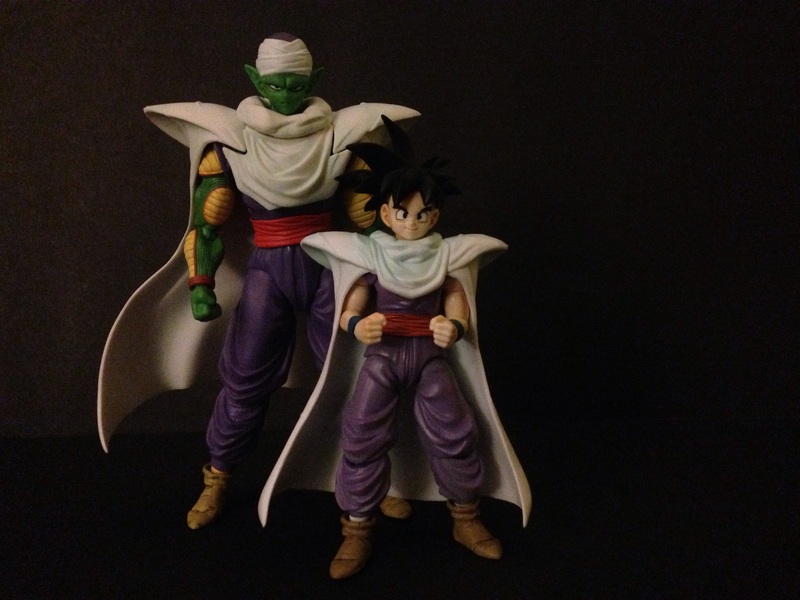 btw, is the piccolo the manga version which you repainted too? Thanks! 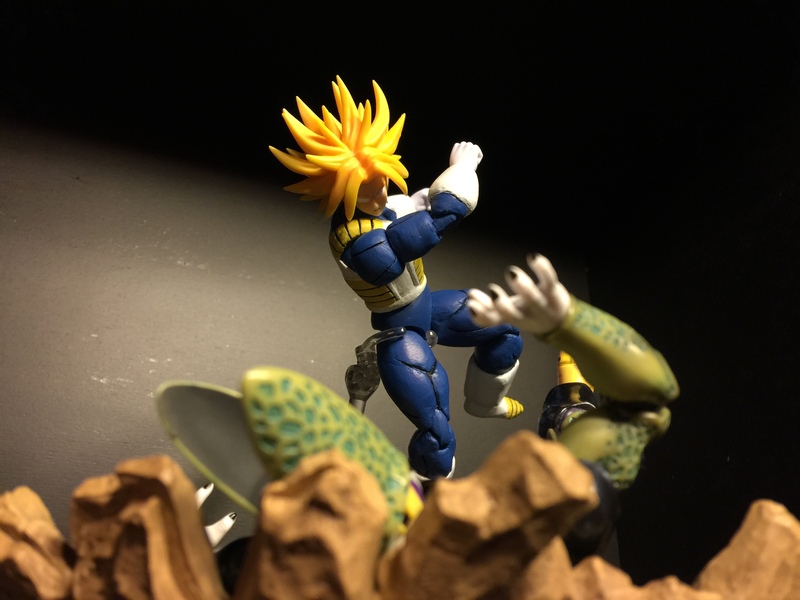 gotenks . 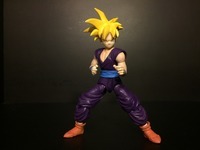 I saw some who removed gohan's freckles, but I'm not sure how to go about it. 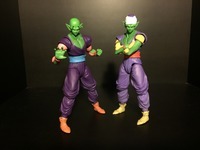 I think straight up painting over them would look weird because there's no way to 100% match the skin tone. You could sand them off with a very fine sand paper. Loving how this is turning out. 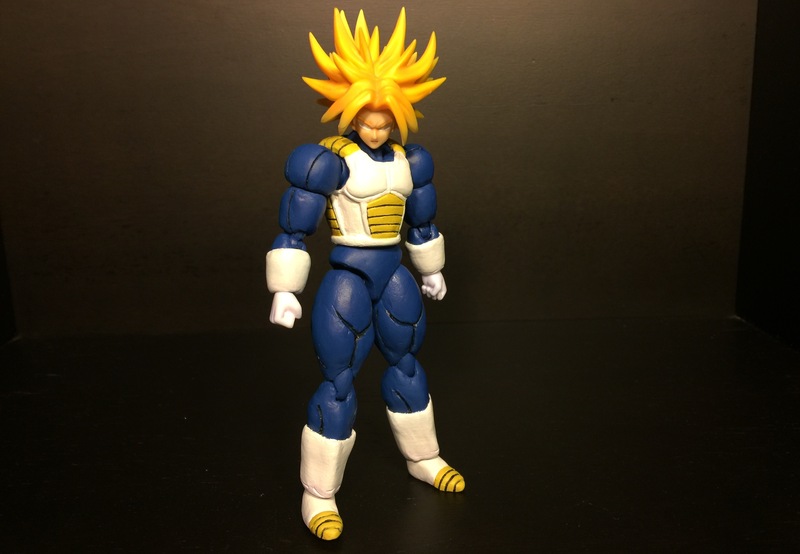 Custom Super Trunks WIP . 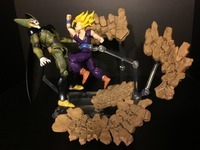 This is based off of when he first transformed, when Cell was about to kill Vegeta. I still haven't decided how I want to do the boot tips so I'm just leaving them for now. And the eyes only have one coat of paint so far. 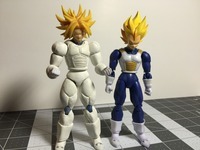 Here he is next to Vegeta. 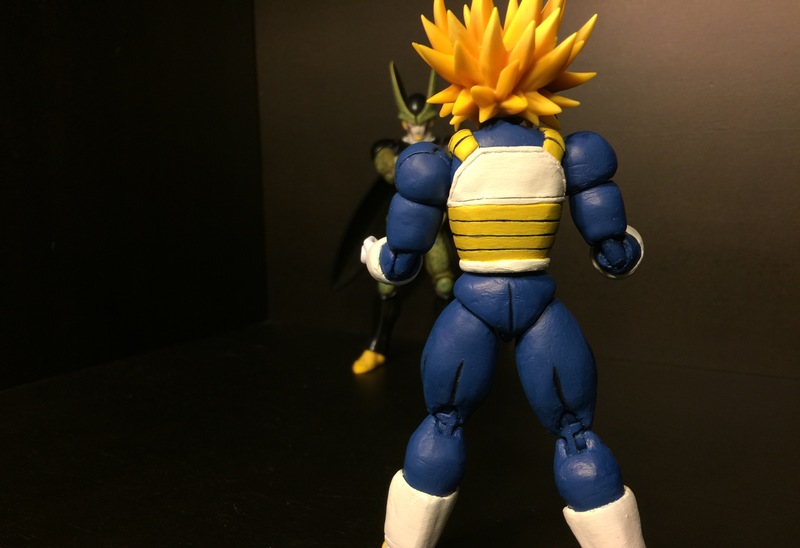 I think I got the scaling pretty good, he's a good bit taller than Vegeta, as he should be. You are getting really good at sculpting LittleGreen. Can't wait to see him finished. Thanks guys! Yes Adz at first the shoulders were giving me a hard time, but I figured out what I needed to do and got around it. I'm very happy with how this guy turned out. Even though doing some parts (like those darn shoulders!) 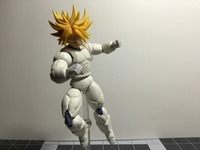 gave me a headache, I really enjoyed making this custom. 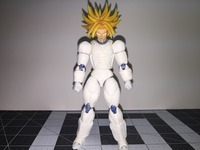 So here it is, my Custom Super Trunks all finished!